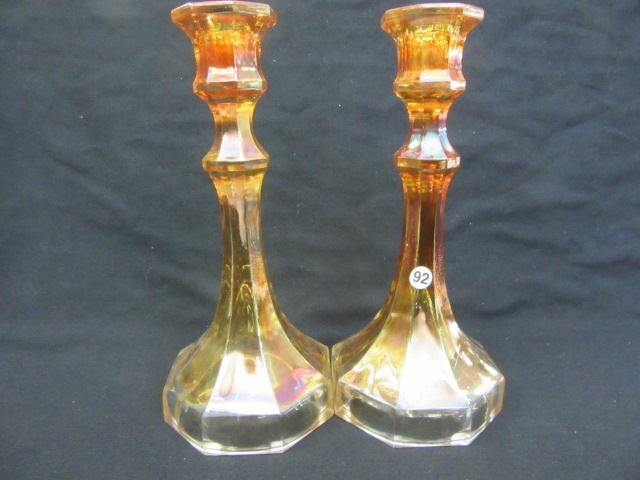 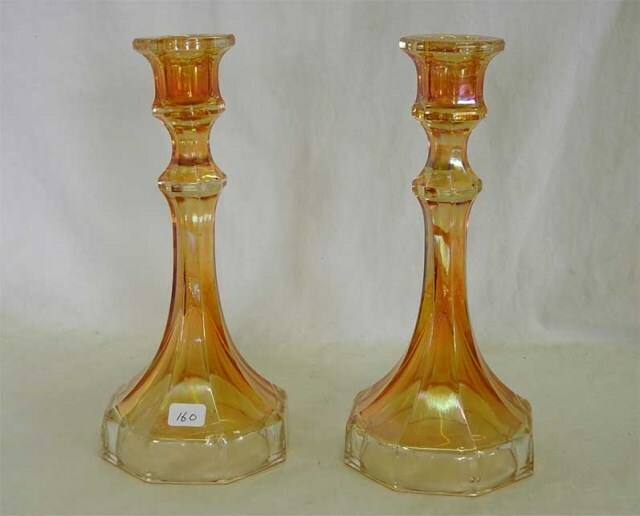 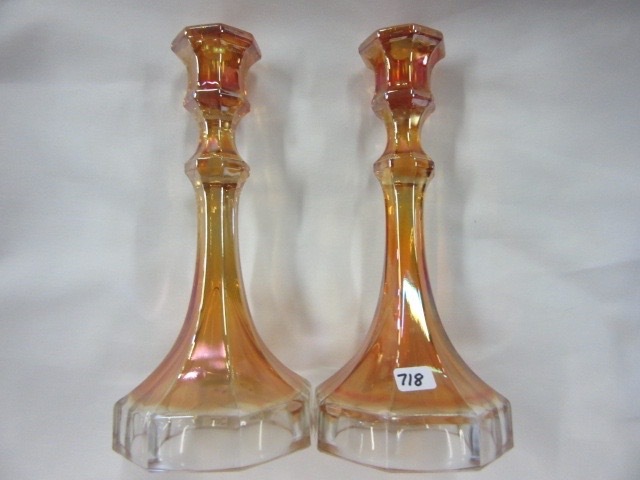 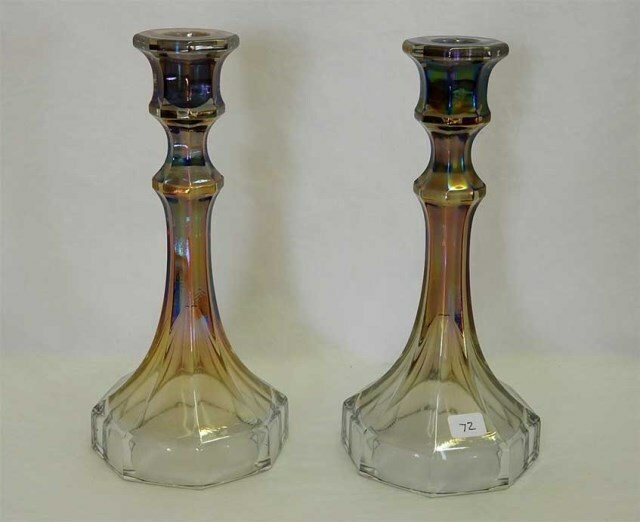 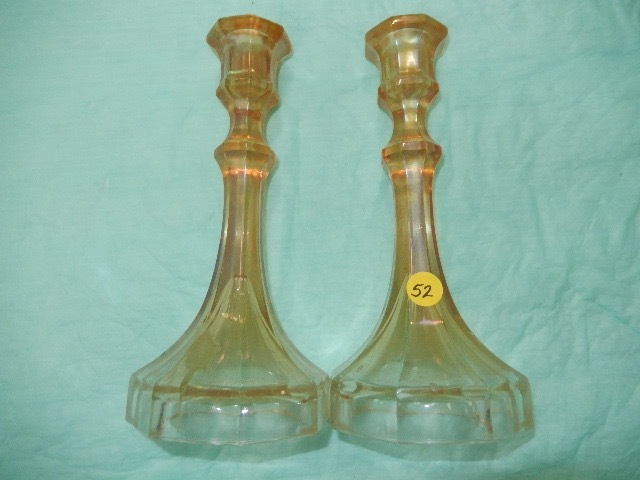 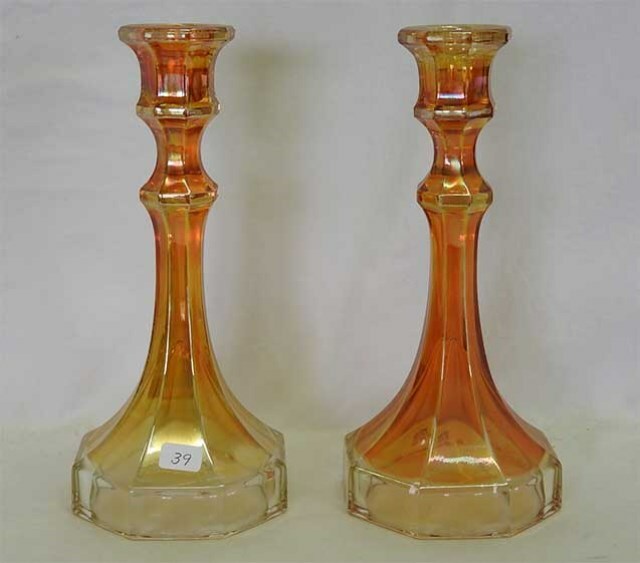 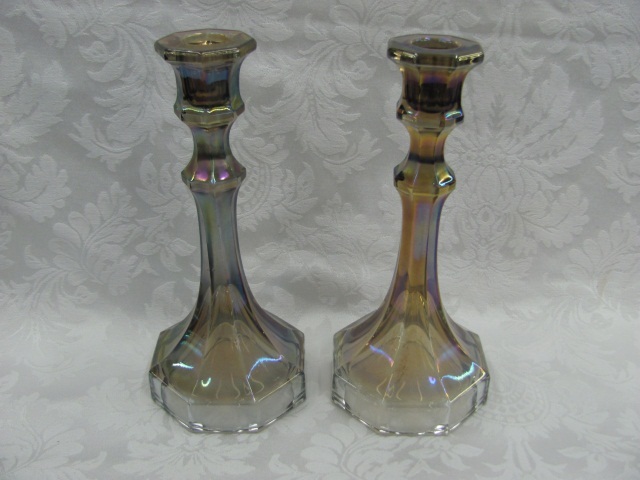 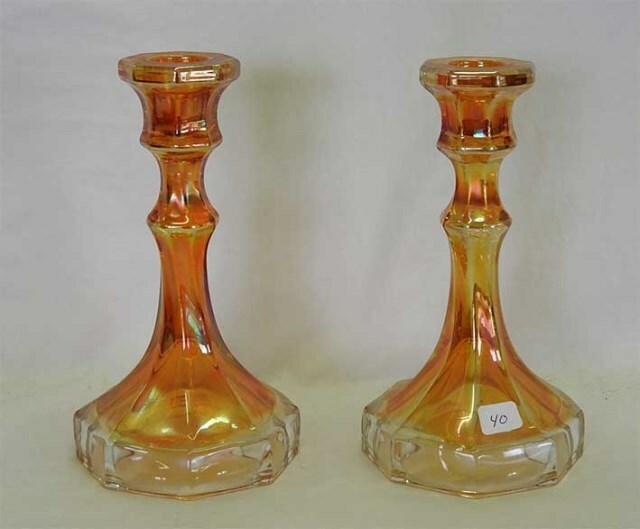 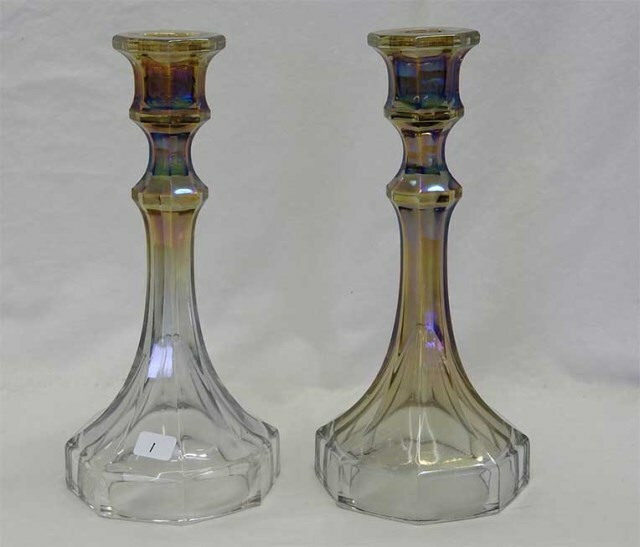 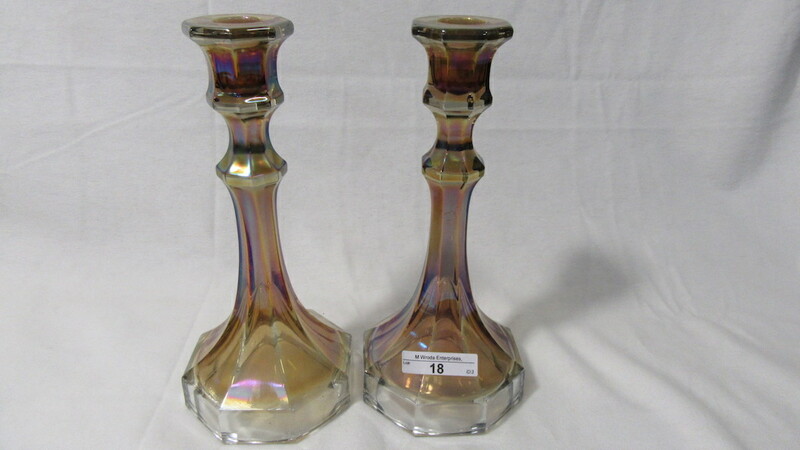 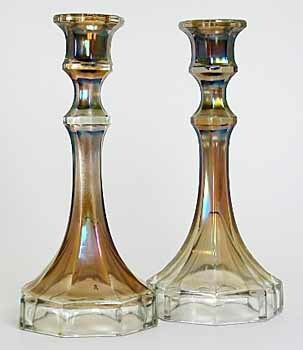 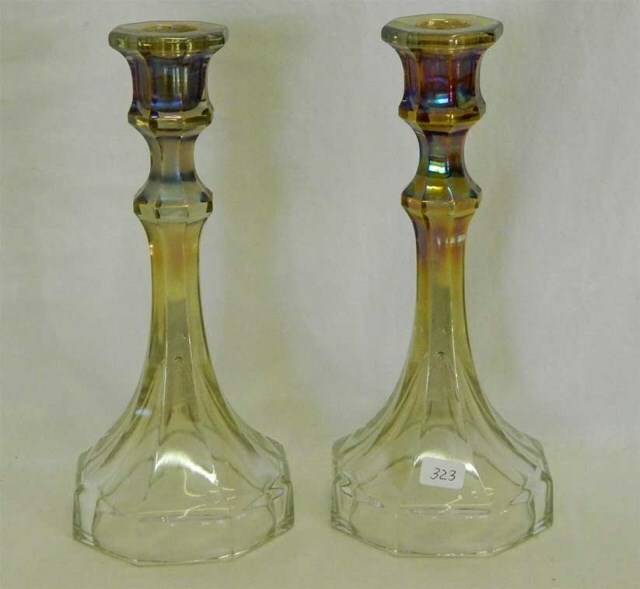 Imperial's Colonial candlesticks are found in two sizes; 7 inch and 9 inch with an octgonal base. 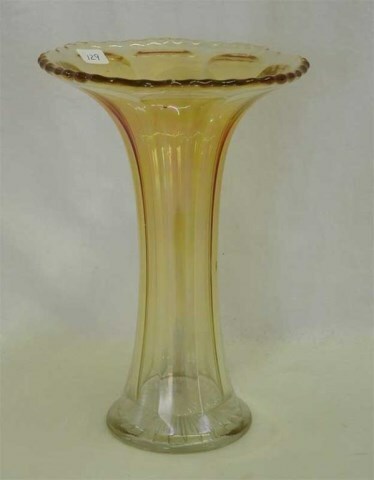 They are usually called Delta Base. 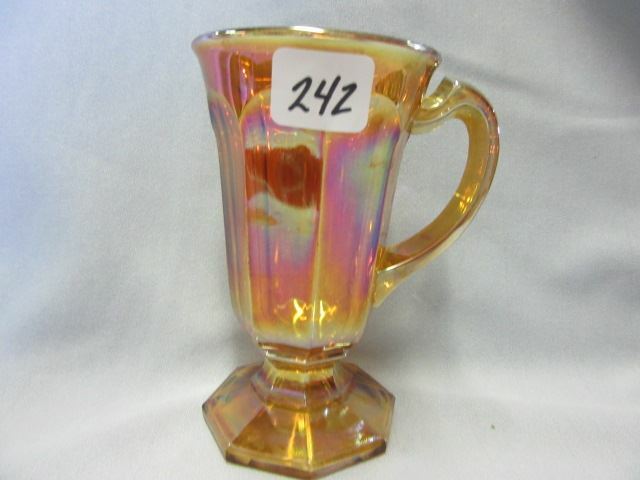 The mug is distinguished from similar mugs by it's octagonal base. 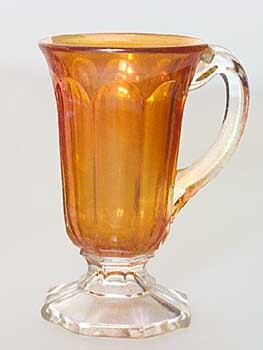 Mugs listed as Colonial sell in the $15 to $20 range (only marigold). 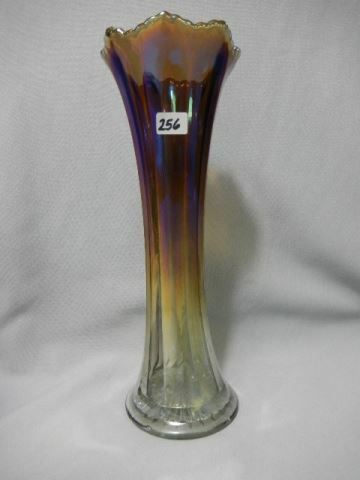 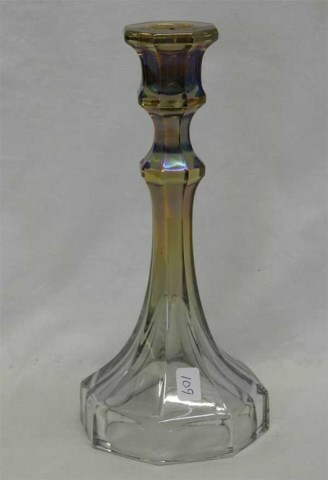 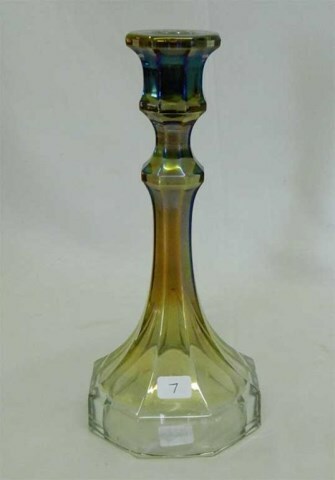 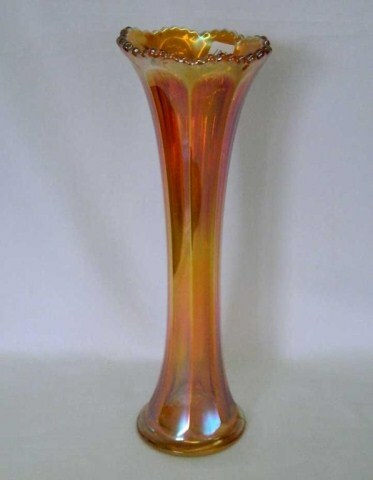 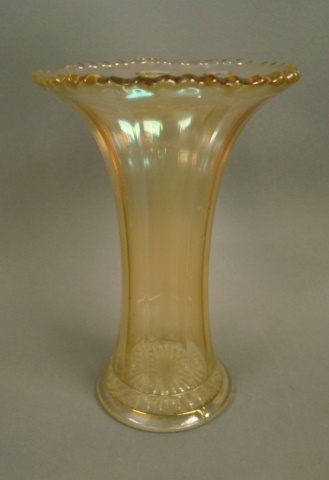 Imperial's Colonial vase is very similar to Imperial's Flute (note the shaping around the collar base) as well as several other maker's vases. 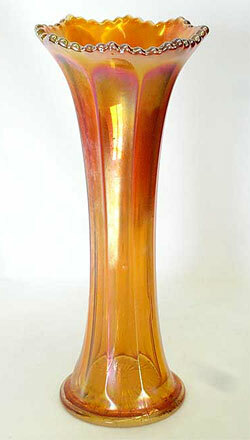 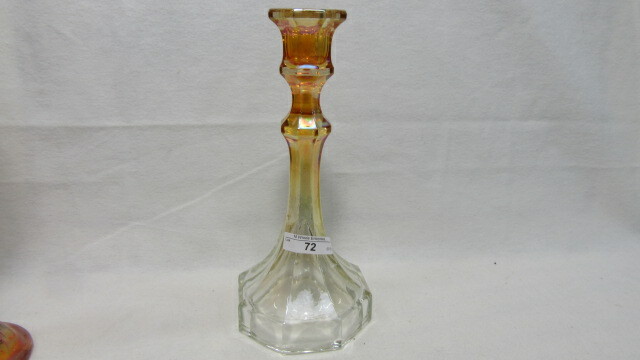 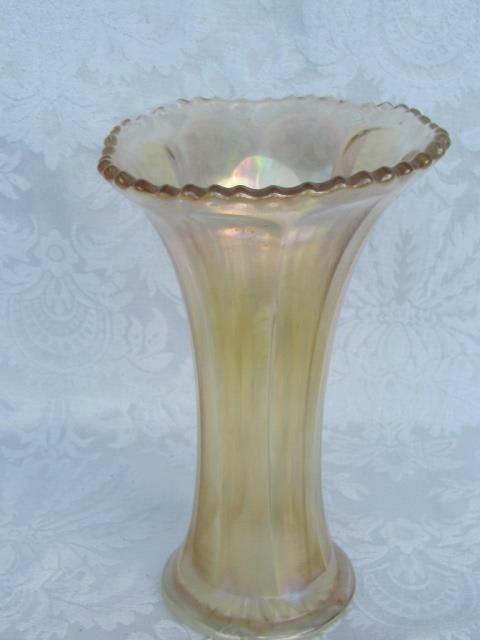 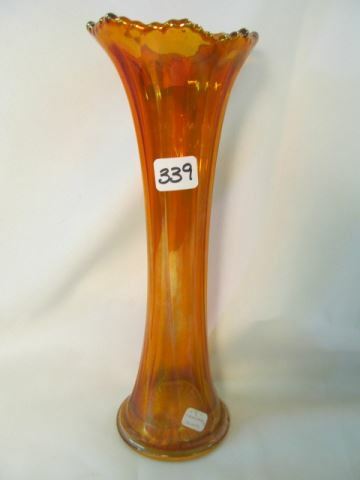 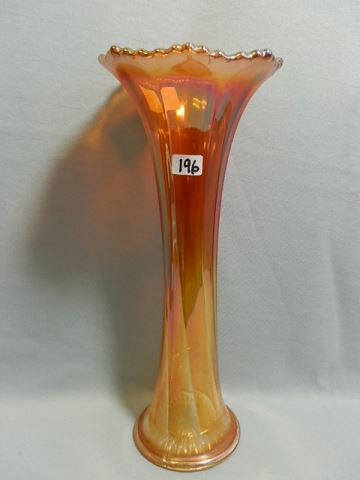 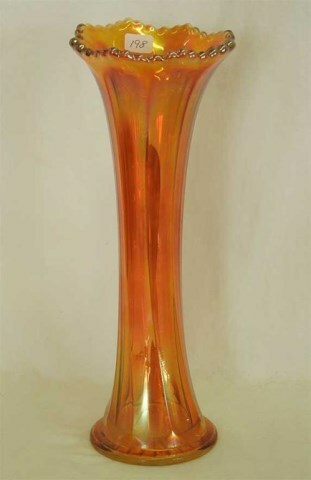 This 12-inch marigold example sold for $35 in 2010.